Kona Community Hospital (KCH) is proud to be recently designated as a Level III Trauma Center. Along with Hilo Medical Center, it will be given recognition by Governor Neil Abercrombie and Mayor Billy Kenoi for this achievement on August 2, 2011. The Hawaii Department of Health, Emergency Medical Services and Injury Prevention Branch, has awarded these Big Island HHSC community hospitals the designations following an intensive and rigorous survey process of over two years. Kona Community Hospital’s survey verification report provided by the Department of Health stated, “The high level of commitment exhibited by the hospital, especially the medical, nursing, and ancillary staff was impressive.” In addition, “the administrative commitment to providing the professional, facility, and equipment resources necessary for optimal trauma care” was one of the many noted strengths. Level III status means Hawaii County is better equipped to reduce death rates from trauma, which is critical given the high number of serious motor vehicle and ocean-related accidents. “We are excited that both Kona Community Hospital and Hilo Medical Center are now designated as Level III Trauma Centers which provides crucial trauma care coverage throughout the Big Island,” commented Jay Kreuzer, CEO of Kona Community Hospital. According to the American College of Surgeons Trauma Systems Consultation Program’s report that was instrumental in the drive to achieve Level III status: Injury from motor vehicle accidents accounts for 50.7% of deaths for those age 1 to 44, approximately one-third more than those of cancer and heart disease combined. When the report was issued in 2005, it noted the trauma death rate on neighbor islands was more than double that of Honolulu County. The report correlated the large disparity in the mortality rate from trauma with delayed access to organized, definitive trauma care. The purpose of the Trauma Program is to streamline the process for trauma cases and decrease the time needed for emergency care. Since its inception at Kona Community Hospital, 214 trauma activations have occurred. 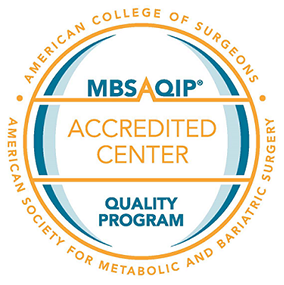 Requirements for Level III designation include 24-hour-a-day coverage by trauma-trained surgeons, emergency department physicians, and nurses, as well as 24-hour-a-day access to anesthesia, laboratory, and radiology services. Kona Community Hospital is able to provide highly efficient and effective assessment, resuscitation, stabilization, emergency surgery, and patient transfer. The program has brought the “team” approach to the patient care arena for the emergency department, surgery department, and ancillary services. The KCH Trauma Team consists of staff from the ER, Imaging, Laboratory, Nursing Supervisors, OR, Respiratory Therapy, Security, and Social Services who are committed to providing optimal trauma care for the community of West Hawaii. The entire community is invited to celebrate Kona Community Hospital’s Level III Trauma designation on Wednesday, August 17, 2011 at Kona Community Hospital from 5:30 p.m. to 7 p.m. with Senator Josh Green, MD. Please RSVP to 322-6960 or ebryant@hhsc.org.